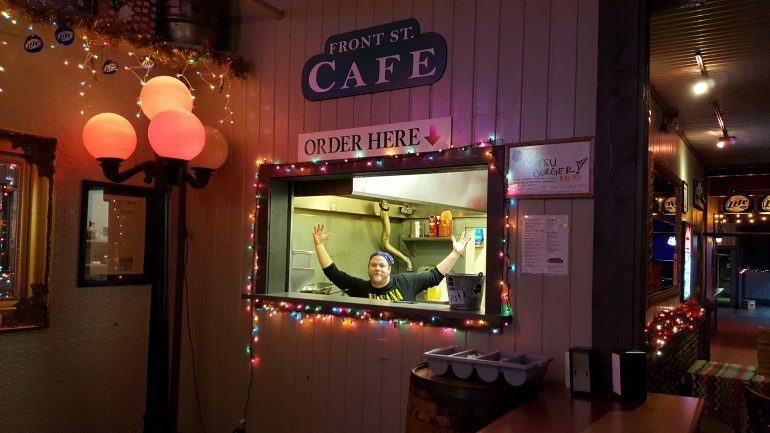 The Front Street Cafe is open year round. If you are looking to eat after 10pm Front Street Cafe is the latest place to eat. Open Friday and Saturday from 11am to 2:45 am and Sunday to Thursday 11am to 12:45am. But please note that because it is located in a bar, you must be 21 to be served. 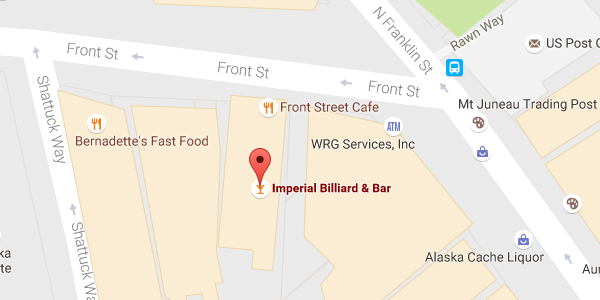 In fact, you will find the café located in Juneau’s oldest bar, the Imperial Billiards and Bar, or locally known as the Imperial Saloon. They have a good standard American selection to choose from. Do you have the ravaging hunger of a bear? The meatloaf sandwiches are very filling. They also offer burgers and fries. Check out their menu at their website at Front Street Cafe. 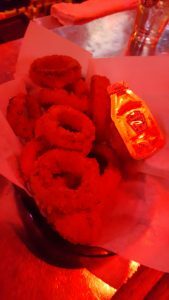 My personal favorite is an order of onion rings – extra crispy, thank you! The staff is always friendly and they do their best to satisfy any special requests. If it is late and you’ve got that gnawing hunger, check out the Front Street Cafe! Yum Yum! French Fries! 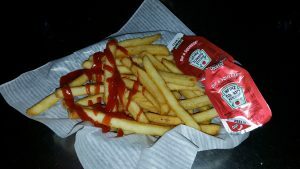 Who doesn’t like a basket of fries with ketchup? It’s a great snack paired with a beer!